ANNOUNCEMENT! Due to a family emergency, author Fauzia Burke will not be able to appear for this event, HOWEVER, we have a replacement! Ms. Burke’s book will still be on sale and still included in the ticket price. There will be additional giveaways from Ms. Robinson at the event. Book marketing expert, Becky Robinson, CEO of Weaving Influence, Inc. will fill in for Ms. Burke at The Laurel Bookstore on Thursday night, 7/28. Becky Robinson is the founder and CEO of Weaving Influence, Inc., a social media and digital publicity company that specializes in helping authors and thought leaders grow their online influence and market their books. Creating opportunities for others — both her team and her clients — motivates Becky. Additionally, she has written several e-books, including 31 Days of Twitter Tips: Grow Your Online Influence, 12 Minutes At A Time and Training For LinkedIn Success. 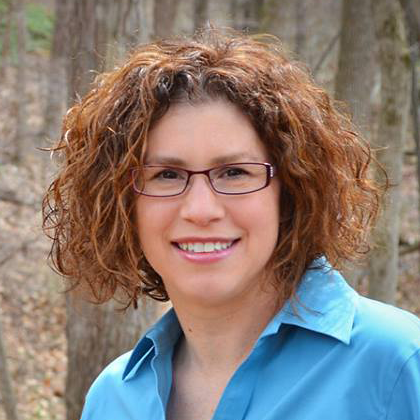 A graduate of Miami University (Ohio) and Wheaton College Graduate School, Becky currently resides in Lambertville, Michigan with her husband and three daughters. Becky equips and trains a growing team to partner with and serve top-level clients. Since she founded Weaving Influence in 2012, Becky and her team have successfully launched over 70 books. Becky is excited about her team’s latest venture, Hometown Reads, launched in early 2016. Hometown Reads is igniting a #readlocal movement, showcasing authors in their own hometowns. Currently, the site features 12 hometowns. with plans to open more Hometowns, including several Bay area locations. Becky and her team also own and operate the Lead Change Group, a multi-author leadership blogging community. Becky blogs about her personal journey as an entrepreneur at http://beckyrobinson.com. A joint event from The Book Promotion Forum and Laurel Book Store – Vital insider marketing tips for both publishers AND authors! Authors know they need to market their book online these days, but it can feel overwhelming. Now, on top of their day job, they’re supposed to be building a digital empire? Ten minutes into Googling around for tips, and the To-Do List is so long, not even an army could get it all done. Feeling the pressure to do everything, some poor authors end up doing nothing. Fauzia Burke is the President of FSB Associates, and has worked in book marketing and publicity for all of her professional life. I started in the marketing departments of John Wiley & Sons and Henry Holt. In 1995, Fauzia founded FSB Associates, one of the first firms to specialize in Internet publicity and marketing for publishers and authors. Since its inception, FSB Associates has executed more than two thousand successful book publicity campaigns. For the past four years, Fauzia has been blogging at Huffington Post which has led to consulting and speaking. It was not something she had ever considered, but it turns out she love it. Here’s more information about her speaking and consulting experience. You can also check out slide decks of many of her presentations. Her company’s VP & COO is John Burke, her husband and business partner. John joined FSB in 1996, and together they have grown their family and their business. They live and work in Basking Ridge, NJ, and Carlsbad, CA with their two beautiful daughters.